Take your Business Communications to the Next Level! Cutting Edge Business Phone Systems & VoIP Solutions Designed to Enhance Business Communications and Reduce Costs. Business Phone Systems, VoIP Phone Service, Cloud PBX & Unified Communications Solutions for Small and Mid-Size Businesses in Texas..
Big business phone systems on a small business budget that are feature rich and designed to enhance the professionalism of your business, increase your productivity, and overall customer satisfaction. Our state of the art system is easy to manage with no licensing fees, upgrade fees, or additional costs for features. 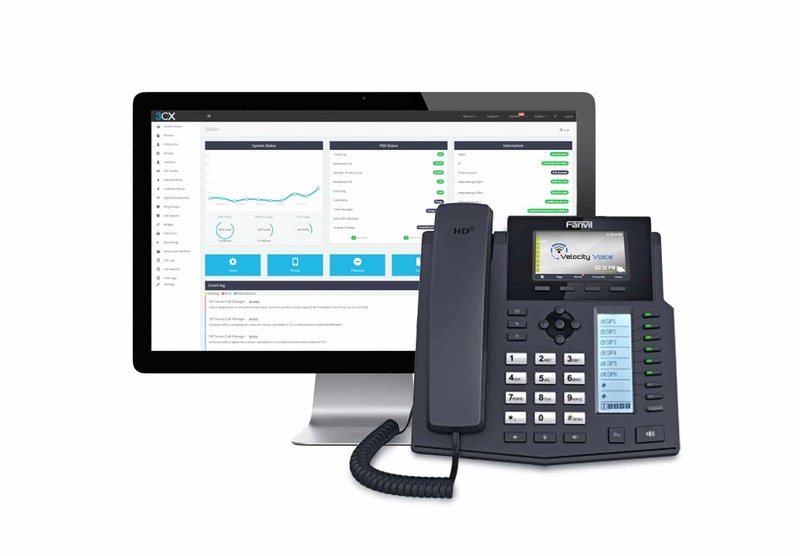 Take your business communications to the cloud today and enjoy all of the benefits of an on-premise phone system while maximizing flexibility and reducing costs. Gain access to advanced calling features with no upfront costs, no equipment to purchase, and no long term contracts. Our advanced Cloud PBX platform is powered by geo-redundant infrastructure and backed by a 99.999% up time guarantee! 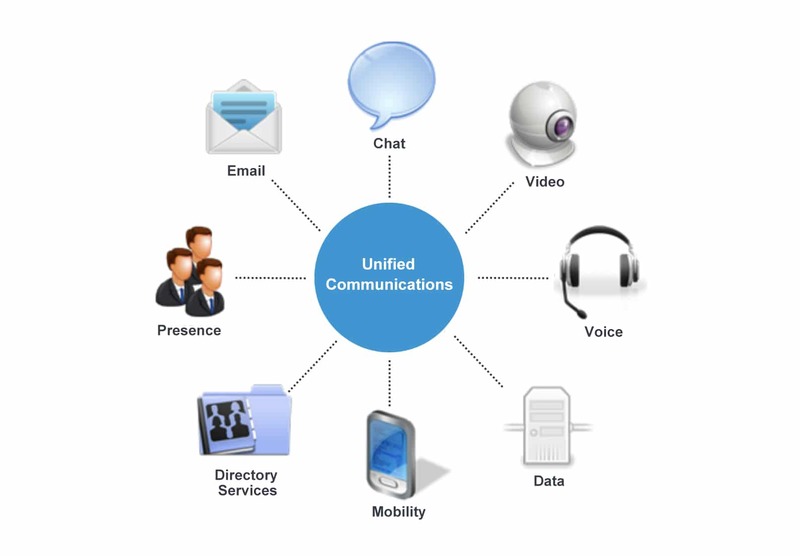 Our state of the art Unified Communications solution in the cloud integrates all of your business communication methods such as phone calls, video conferencing, screen sharing, instant messaging, real time presence, email, fax, and more into a single solution and let’s them all communicate with eachother so that they can work together under one system — making your business operate much more efficiently. Break free from your telephone company and enjoy unlimited local and long distance calling to the US and Canada. Auto attendants increase the professional appearance of your business and serve as a virtual receptionist to manage and route incoming calls efficiently. Receive your voicemail messages directly into your email inbox that you can listen to anytime from your computer or smartphone. You can also receive text message notifications on your cellphone to notify you of new voicemails. Set your phones to ring normally during business hours and customize how calls route outside of your business hours by sending calls to an afterhours voicemail box or even a cellphone. This process is completely automated based on your operating hours. Improve call center management, training, and customer service by recording all of your inbound & outbound calls. Our web based operator panel, allows you to view your users presence status, see who is currently on the phone, gain the ability to listen in on active calls, and even be able to jump in active calls to coach your employees while they are on the phone with a customer without the party on the other end being able to hear you. Use one phone for multiple users allowing them to log in and out of phones with their assigned extension number. Improve customer service by placing your callers into call queues to ensure they are greeted in the shortest amount of time possible. Includes music on hold, call recording, wait time announcements, agent login/logout, and detailed reporting on your agents & queue statistics. Empower the mobility of your workforce and stay in touch with colleagues and customers anytime, anywhere – even if you are out of the office or out of the country – with an extension on your mobile phone from your Office Phone System. Contact us today and ask us about our FREE 30-Day Trial! 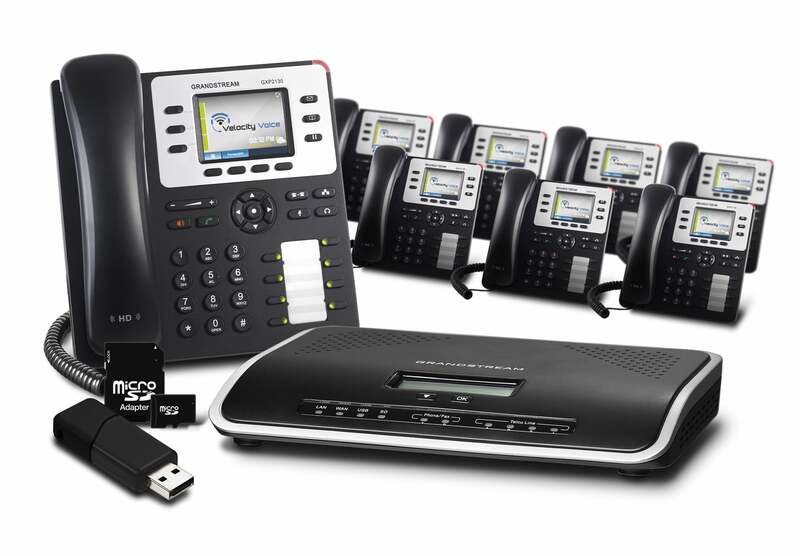 Need a Business Phone System and great Phone Service to go with it? 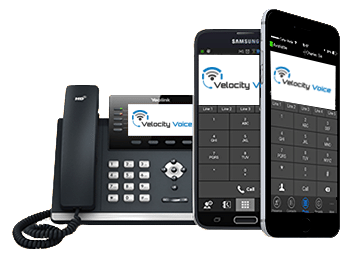 At Velocity Voice we offer Business Phone Systems Sales & Installation, Cloud PBX, Unified Communications, VoIP Phone Service, and more all under one roof. If you’re looking to improve your company’s image, productivity, communications and customer service, let the professionals at Velocity Voice and our competitive rates help get you there! Get A FREE QUOTE and find out just how affordable and easy it is to take your business to the next level. You’ll be glad you did, and your customers will love you for it! Contact us today at 1-877-656-3316 or click the button below to get a free quote. Who Are Our Clients in Texas?